The restaurant is organizing a promotion of select kababs and calling it “Grab The Smoking Cold One”. 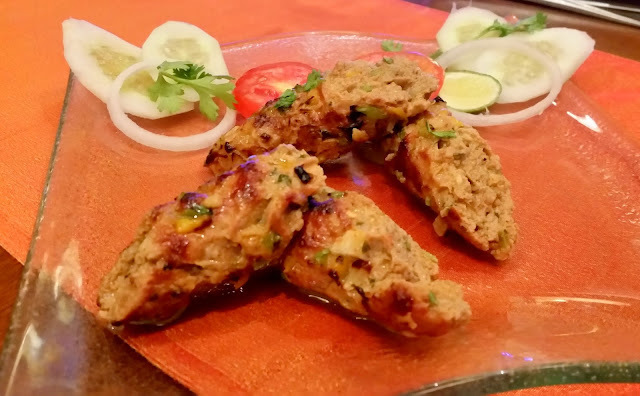 A set menu of fourteen different kababs – seven veg and seven non-veg are served with Budweiser beer. 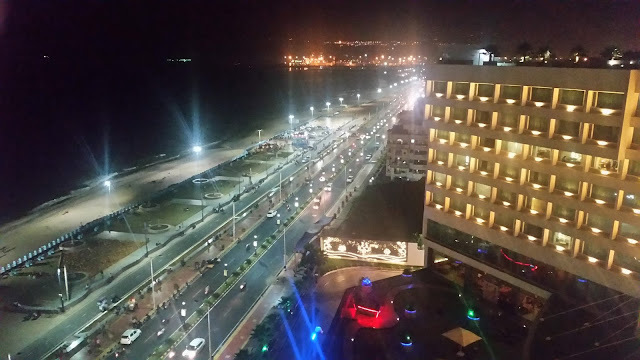 The kababs and beers are unlimited, providing a complete experience to the kabab aficionados. Invited for a preview of the festival, we started with the familiar Murgh Malai Kabab. 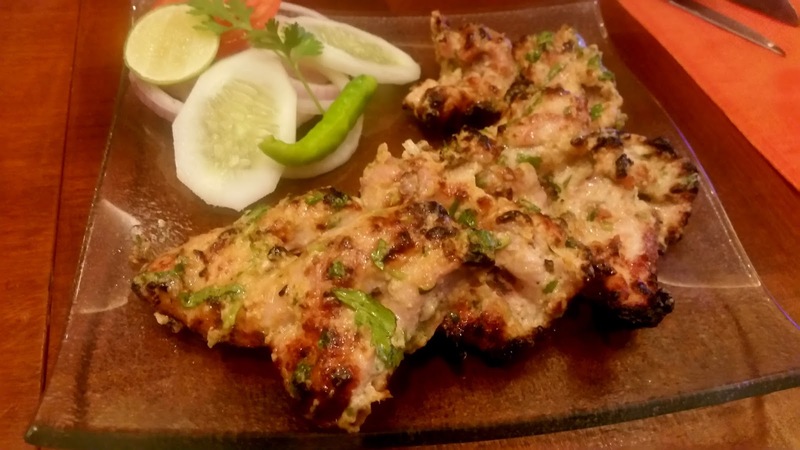 The boneless chicken had soaked in the marination of curd, cheese and lemon resulting in a soft almost melt in the mouth kabab. 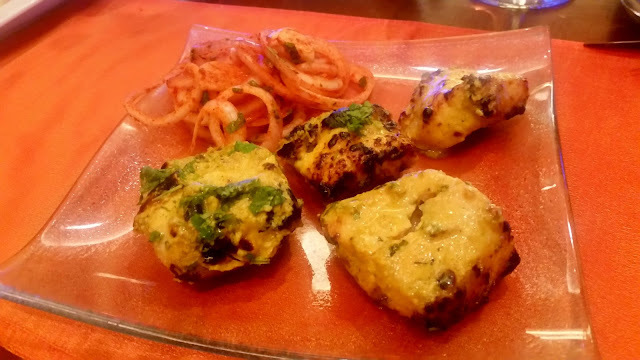 The Mahi Tikka was prepared in a saffron based masala and garnished with coriander. 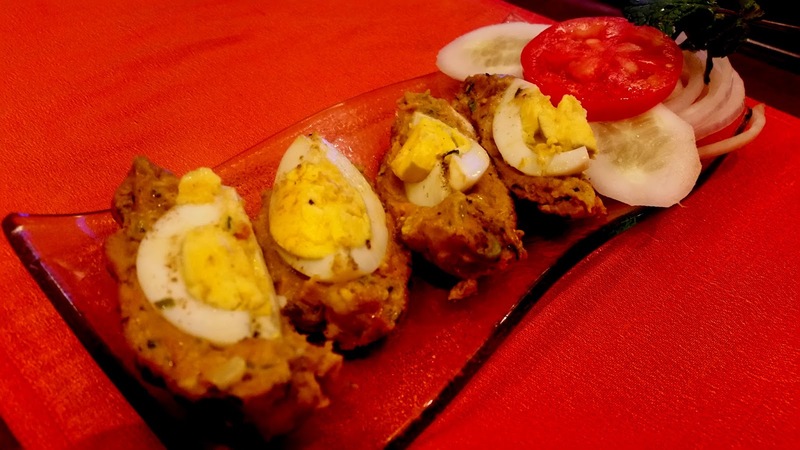 Murgh Ki Godhi was the chicken version of the well-known Nargisi Kofta, boiled eggs coated with chicken mince and prepared in tandoor. 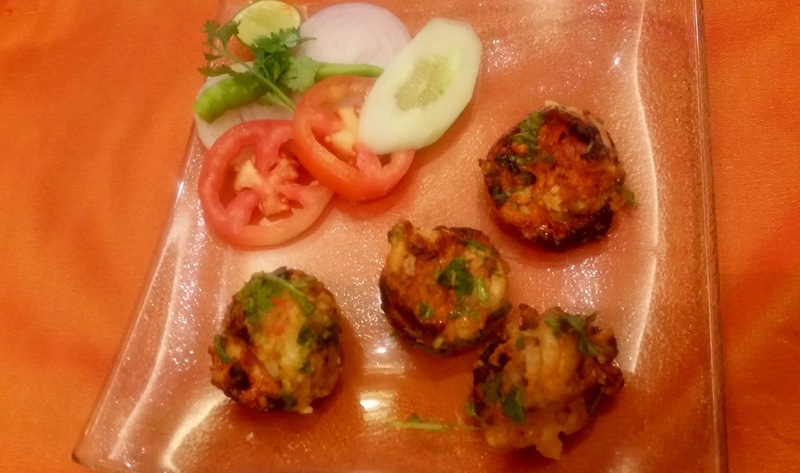 I liked the taste of spices used in of Tandoori Jhinga, but the prawns were rubbery. 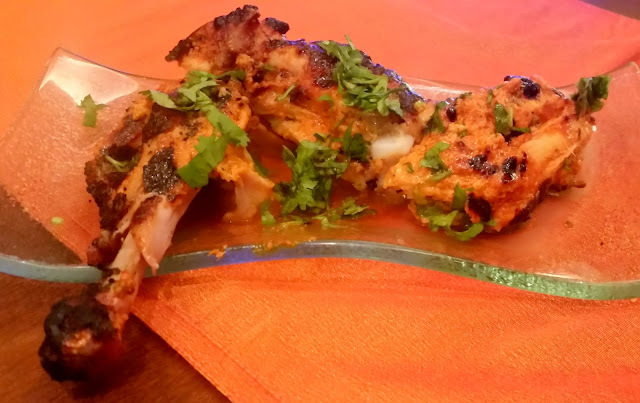 The Murgh Jhangri Raan had a completely different set of spices with cashew and almond paste adding to the taste of the chicken legs. Gilafi Seekh Kabab was absolutely soft, with the yoghurt marinated keema flavoured with by some nice spices. Among the vegetarian kababs that we tried, Hara Bhara Kabab was the best. A combination of spinach and other greens with potato mash, it was served with some shredded apple pieces. 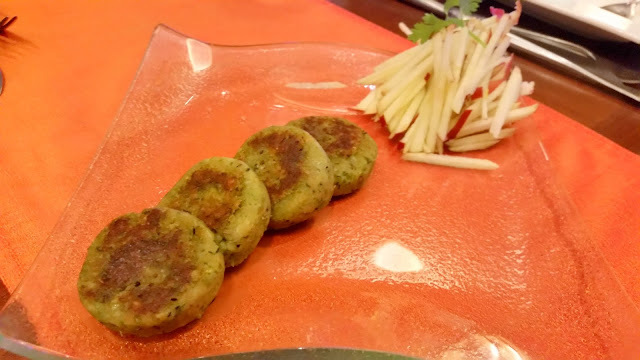 The Makai Kabab was cooked twice – first, the babycorn basted with oil and chilli powder was cooked in a tandoor, then it was added to mashed potatoes to make patties which were cooked on a griddle. 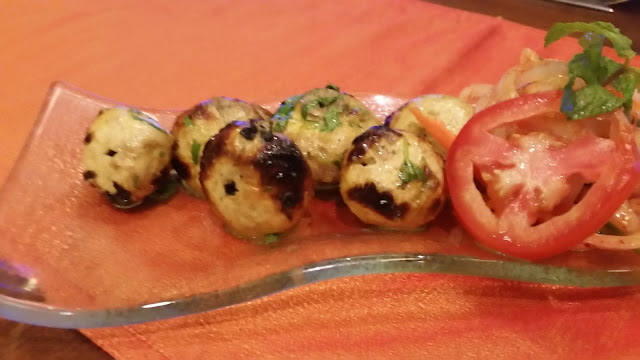 The Tandoori Mushroom looked attractive, but was bland in taste – it needed a little bit more of marination to be palatable. The Asrafi Kabab, which was actually batter-fried potato and coconut mix, went well with pudina chutney. At the end of the meal, we were served Curry Leaf Ice Cream, which is supposed to be a popular dish here. 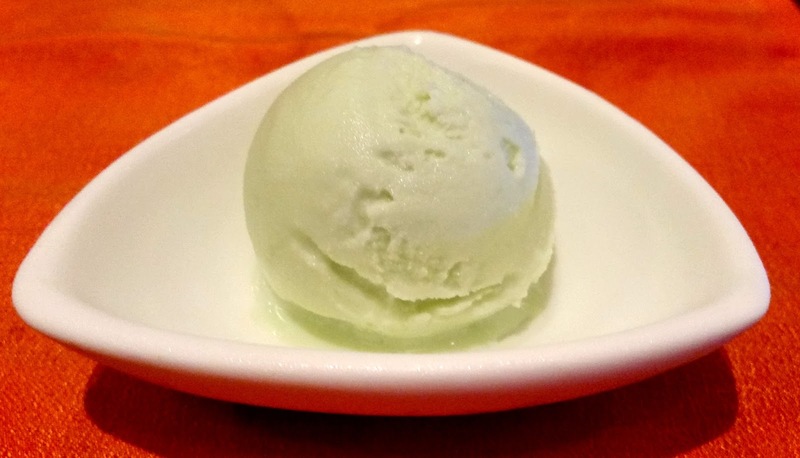 The green ice cream had a strong flavour of currypatta, and should appeal a lot to the local palate. Overall, a nice and neat promotion. The menu has been designed taking care that the constituent kababs are diverse, though I would have liked a few local delicacies like Shikampur in it. 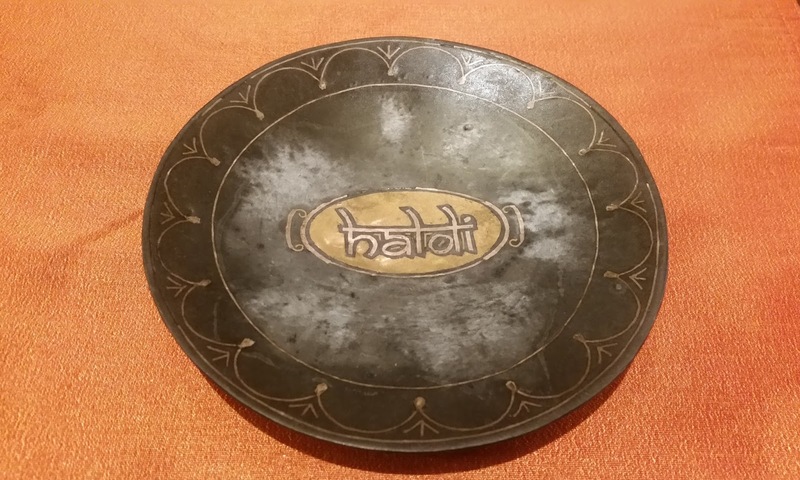 Most of the kababs were well made and were served with innovative sides and Indian bread. The promotion is priced at Rs 1550 plus taxes and is on till 15th May.